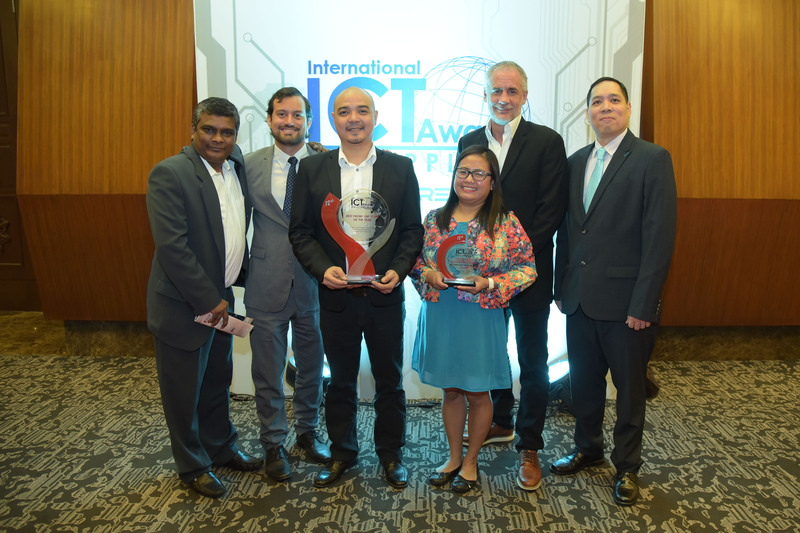 From left to right: Vice-President for IT Solutions, Rs Nalakumar, Director for Brand, Marketing and Culture, Carlos Giammattei, Senior Operations Manager to this year’s ICT Awards Best Frontline Team, Carlo Garcia and Team Hybrid member, Hannah Lynne Candalura, Vice-President for Brand, Marketing and Culture, Warren Tait, and Business Development Senior Manager, Emmanuel Kintanar. 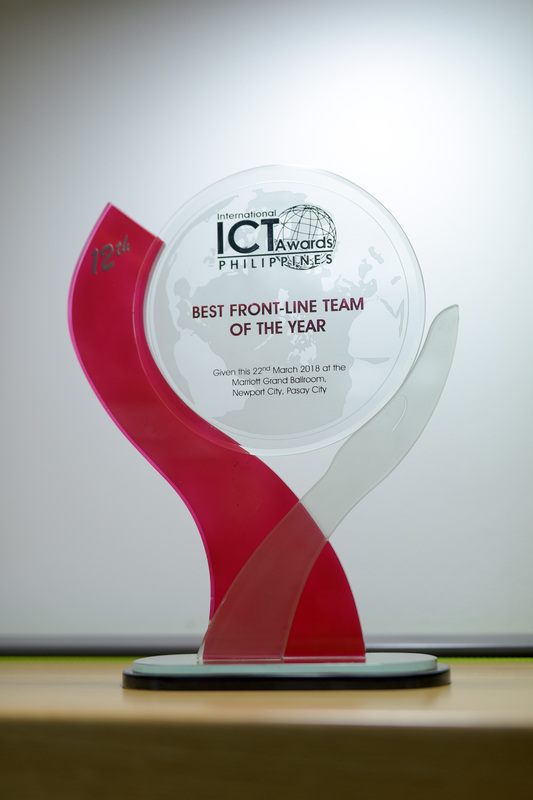 Recognized for one of its frontline teams’ outstanding customer service in information technology solutions and exemplary practice of company values, TELUS International Philippines received the Best Front-Line Team of the Year Award at the 12th International Information and Communications Technology (ICT) Awards Philippines held at the Marriott Grand Ballroom in Pasay City on March 22. Organized by the Canadian Chamber of Commerce of the Philippines (CanCham) in association with Information Technology and Business Process Association of the Philippines (IBPAP), the annual International ICT Awards Philippines highlights the achievements and excellence of organizations and individuals who have contributed to the growth of the country’s IT-BPM industry. “We are very proud of the recognition that the team has received this year. This award is a testament not only of TELUS International Philippines’ world-class standards in IT but most importantly, of how our team members across the company embrace a caring work environment powered by teamwork, diversity, and inclusiveness,” said RS Nalakumar TELUS International Philippines Vice-President for IT Solutions. TELUS International Philippines’ Team Hybrid (NFS-IPTV Team) stood out among the rest with its exceptional lineup of achievements for 2017. This includes a perfect score of 5 out of a 5-scale rating system for client satisfaction, a low average monthly attrition rate of 1.4%, and a world-class engagement score of 89%. The IT Solutions team’s high internal promotion rate of 18% helped minimize attrition rate for the team and contributed to the high engagement of team members. The company also welcomed two differently-abled persons to the team last year and made sure that they feel welcomed and as comfortable as possible by having the entire team learn basic signs, deaf sensitivity and culture, and the Philippine and global laws on disabilities. “Company culture is no doubt among our top differentiators in the IT-BPO industry, and this is perfectly exemplified by Team Hybrid,” Nalakumar added.